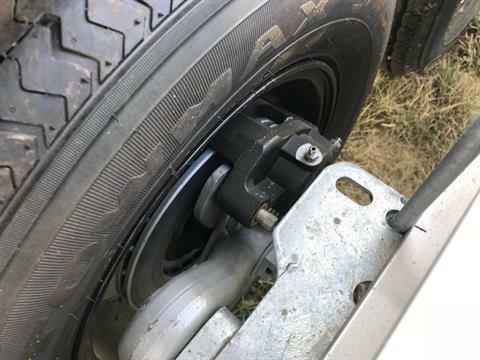 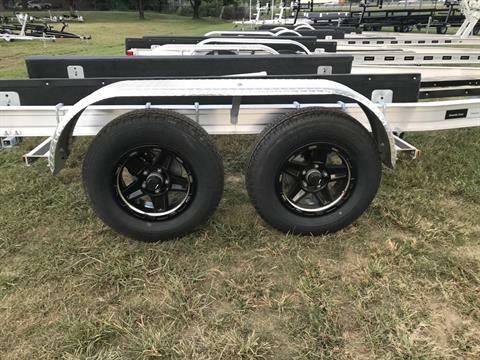 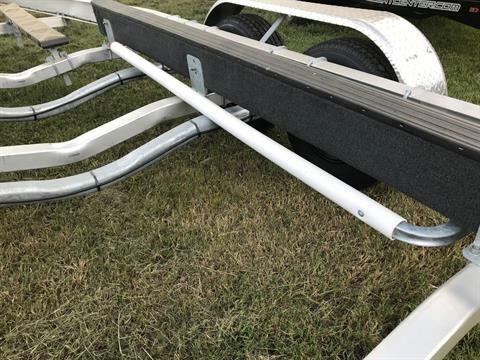 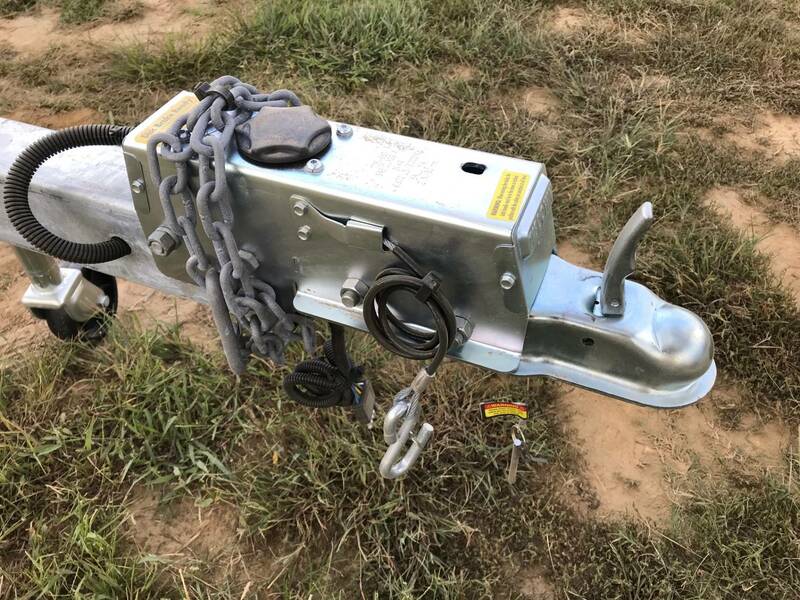 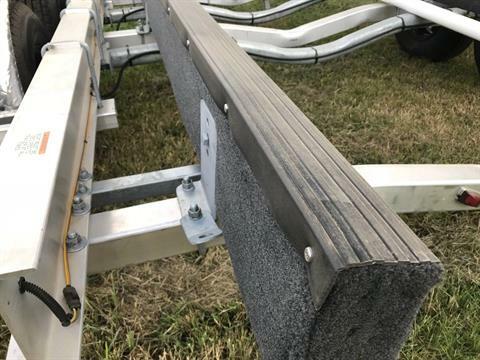 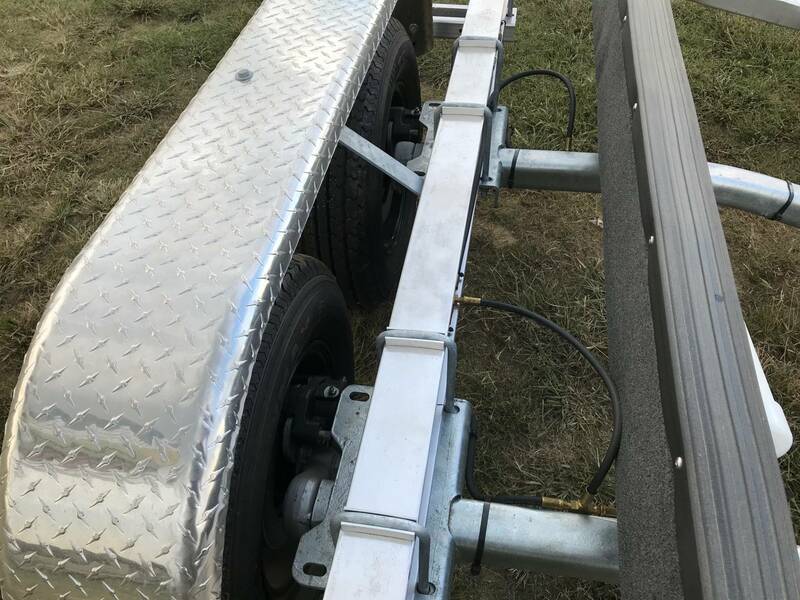 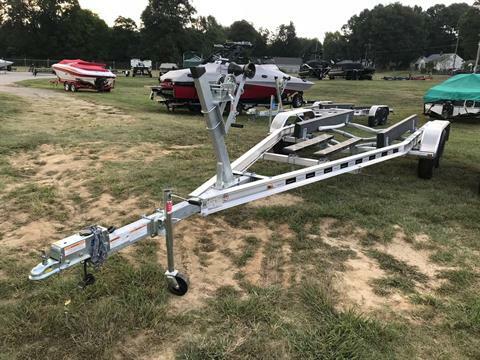 aluminum tandem axle trailer with disc brakes for 22 to 24’ boats less than 6000 lbs. 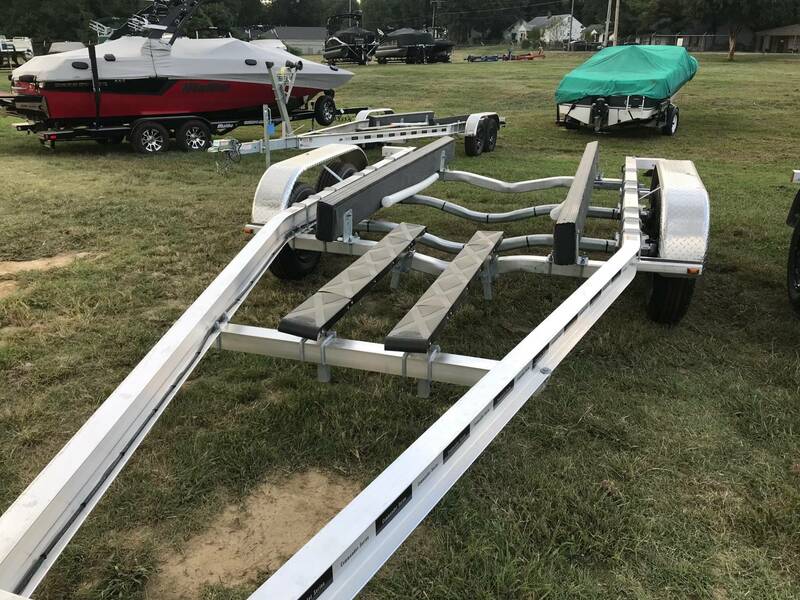 This Venture top-of-the-line Commander series aluminum tandem trailer will carry boats 22 to 24’ long, that weigh less than 6000 lbs. 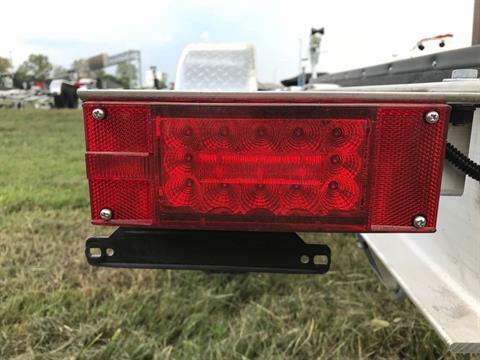 It has a 2” coupler, waterproof LED lighting, 14” radial tires, aluminum sport wheels, torsion axles with Vortex 100,000 mile hubs, double disc brakes, adjustable winch stand and bunks with Poly Sleeve, target bunks, load guides, a heavy duty tongue jack and aluminum Diamond-Plate Fenders. 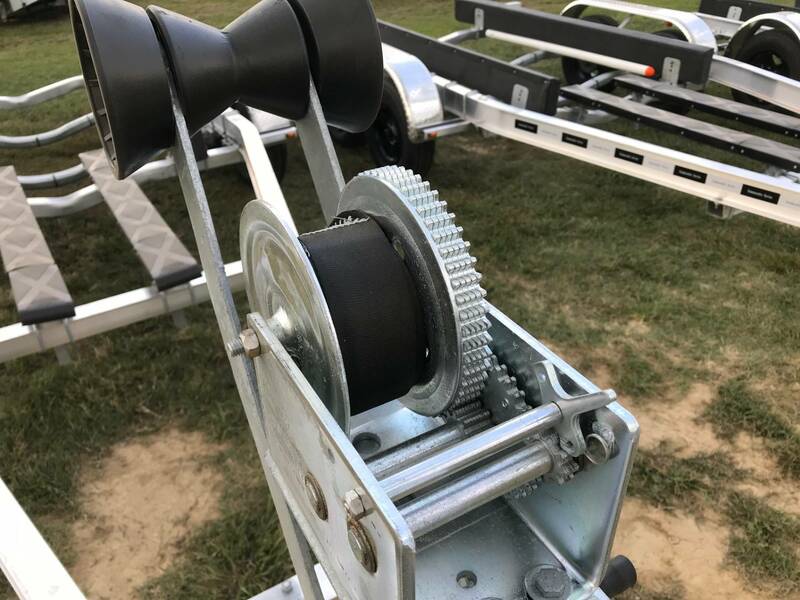 The COM-6000 is 101” wide and it weighs 1050 lbs. 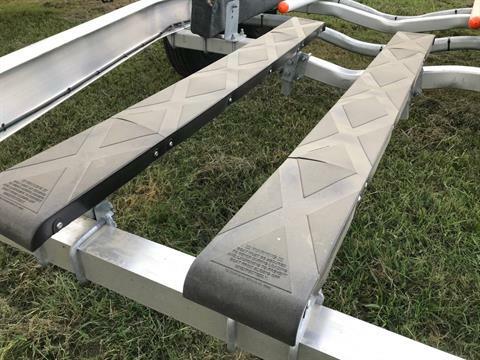 All the best features included for a reasonable price.